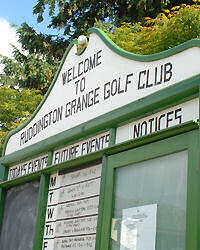 There was a time when members of Ruddington Grange used the newly-formed club as a stepping stone towards joining the more established clubs in the Nottingham area... but not any more. With one of the finest and most testing courses in the county to enjoy, coupled with Ruddington's friendly atmosphere and lively social scene, why would people want to move on? Membership for gents and ladies is on an equal-footing at Ruddington. 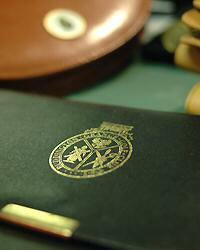 The Seven-Day option allows members to play at all times, and gain automatic membership of the English Golf Union. A Five-Day membership option is also available at a reduced cost, for which people are eligible to play from Monday to Friday. From March until October a regular programme of members' competitions and inter-club matches are offered to all ability levels, and the club have thriving Junior, Seniors and mixed sections. Under the guidance of the Professionals atthe club, the Junior section has made excellent progress in recent years, producing many talented youngsters with single-figure handicaps. Memberships are from April 1st but anyone wanting to join part-way through the year may have their subscription reduced accordingly at the discretion of the company. A Direct Debit payment scheme is available, which is calculated at 5% on the outstanding balance. You may also pay a lum sum and the rest by Direct Debit to reduce the overall additional charge but this amount must cover the whole of the VAT payments up front..